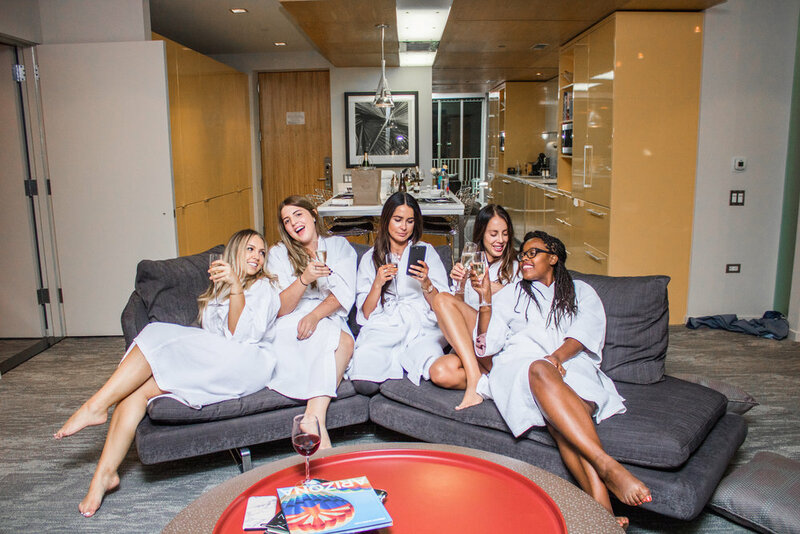 My Bumble girls and I recently had the opportunity to have a weekend staycay at Hotel Valley Ho and it was the BEST. I love that Bumble brings us together for super fun events like this one. My favorite thing about BumbleBFF is how much emphasis they put on harvesting friendships. It’s hard to find time in my busy schedule to really give each of my friendships the attention and quality time that they deserve, but BumbleBFF has really helped me with this! 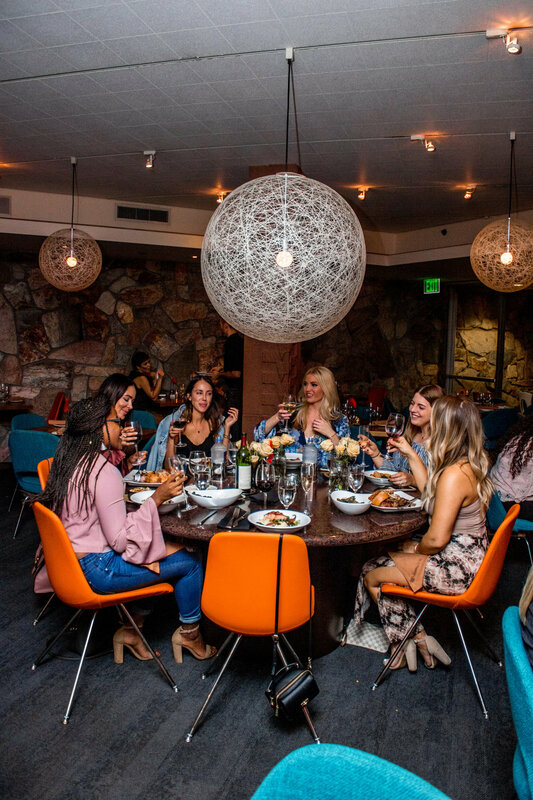 I really do love getting to spend quality time with my friends at our events, and our Bumble x Hotel Valley Ho staycay was definitely one for the books. Check out my latest blog on Hotel Valley Ho here if you want to learn more about my experience staycaying with them! Just so we’re all on the same page, I’m going to let you guys know right now that our Bumble staycay was the dreamiest. My girls and I got to spend the entire evening and next morning with each other and it was so nice. The first stop of the night was to indulge a little at Hotel Valley Ho’s amazing restaurant, ZuZu. Whenever we all get together for a meal, we seriously end up at the restaurant eating and chatting for almost 3 hours, it’s so relaxing! It’s truly an amazing feeling to not be in a rush to get back to my to-do list, so I really value this time. My favorite part about dinner with the girls? We order one of everything to share so we get to try everything! I love getting to sample everything that ZuZu has to offer because it’s always SO good. Check out my recent blog on ZuZu if you want to know more about our dining experience. After dinner, we all headed back to our suite to get some quality girl time! We got out of our dinner clothes and got into our cozy Hotel Valley Ho robes and talked all night long. I love my Bumble girls because we all care so much about each other and we are always looking to lift each other up. It’s amazing to have such a strong group of girls that you can count on who just want to love and encourage you! Eventually we all dozed off and had one the best night’s sleep we have ever had. We slept for so long and it was totally needed! We all woke up so well rested and ready for brunch at ZuZu! Of course, brunch was another fun meal filled with taking our time and sampling one of everything. The only downside? Our next stop was the Hotel Valley Ho pool party and we were all just a little stuffed, ha! But that did not slow us down, we could not wait to get some sun and party at the pool. The best part about the pool party was all of cute Bumble gear that we got to sport and hand out to others at the pool! We were all wearing cute little matching yellow suits and we were definitely flaunting our Bumble swag. We had so many people come up to us wanting to know more about Bumble and join in on the fun. Meeting new people and making new friends is totally the best part about Bumble. Pool parties are always way more fun with more friends to enjoy them with! I’m so thankful to Bumble and Hotel Valley Ho for allowing my girls and I to have the BEST time at our staycay, and I can’t wait to do another. Want to join our girl gang and come to fun Bumble events with us?? Send me a note by clicking here! Want to form your own girl gang? Download BumbleBFF! Click here!